On Wednesday, July 19th Laura Johnson and Luke Mahoney, cofounders of You & Yours Distillery Co, were guest speakers for Startup Talks in the Park. 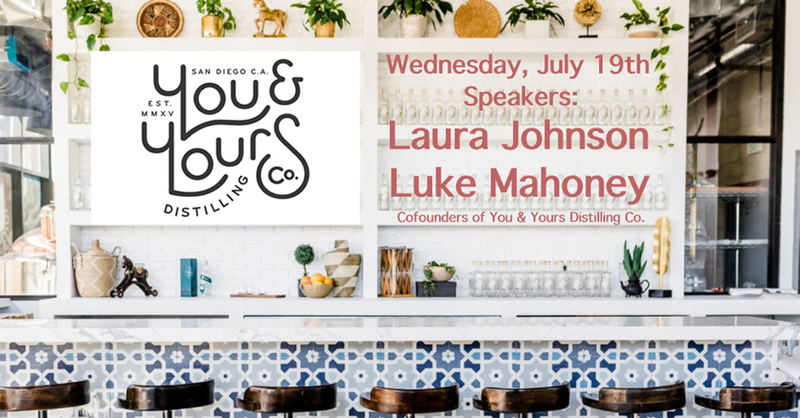 You & Yours is San Diego’s very first urban distillery; Laura and Luke shared their innovative journey to opening the doors at their tasting room in East Village. Laura also gave Underground Elephant a fun behind-the-scenes look at her life as cofounder and head distiller. Launched in March of 2017 after almost three years of planning, You & Yours Distilling Co., located in East Village San Diego, is a full production distillery, tasting room and event space, complete with a world-class cocktail program highlighting their current spirits offerings.